For a truly magical prosecco, all you have to do is add these Shimmer Raspberry Bubbles! Bursting with raspberry flavour these bubbles are a must have for prosecco and cocktails. 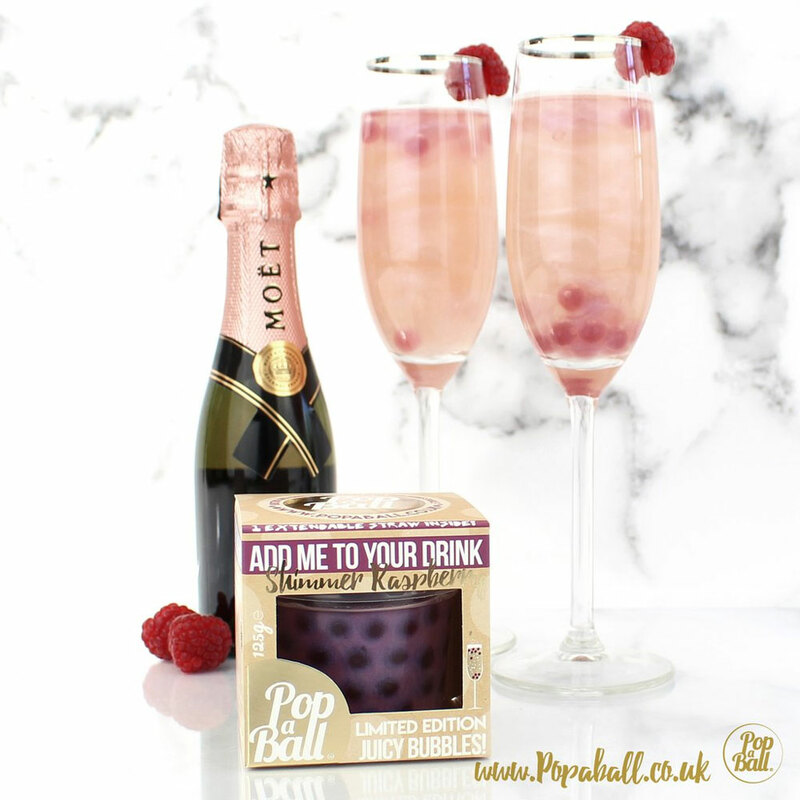 To add the shimmer simply shake the tub of bubbles before opening, then add a spoon of passion fruit bubbles and shimmer liquid to make your drinks sparkle and taste amazing! Each 125g pot contain 6 servings and comes complete with a telescopic straw.